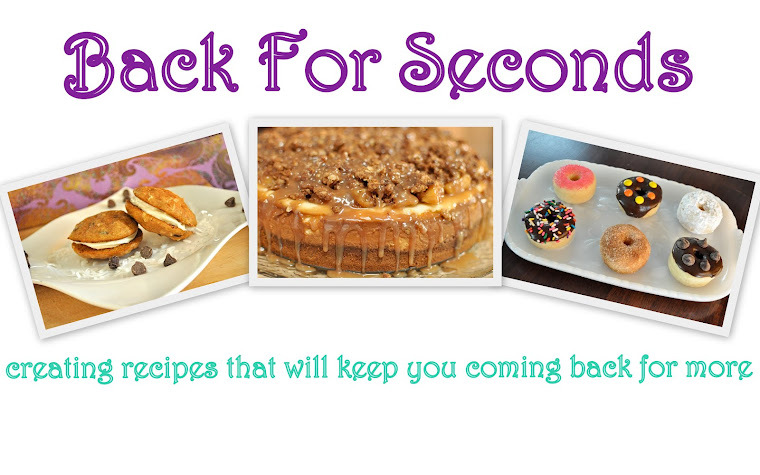 Have you linked up at the Back For Seconds Social yet? Click here to join the party! Also, I have created a new party page where you can add your own link party! Look up - see the Sweet Parties tab? If you don't already see your party there just add your url under the day of the week your party starts. Thanks! Forgive me for sharing such a simple post with you today. I almost didn't hit publish because I didn't want to insult your intelligence. This really is SO simple. But you know how you always come across an idea/recipe/product and you think, "why didn't I think of that"? It's something so obvious that you feel silly that you didn't think of it on your own. This is one of those things, friends. I came up with a recipe and wanted to use chocolate chunks, but all I had on hand was chocolate chips. I didn't want to run to the store just for one thing, so I improvised. It worked like a charm and is super easy. 1. Huh, why didn't I think of that? 2. Does she think we're idiots? Everyone already knew this trick, right? Carefully melt the chips in the microwave for 30 seconds then stir. Microwave again at 15 second intervals, stirring after each one until melted and smooth. 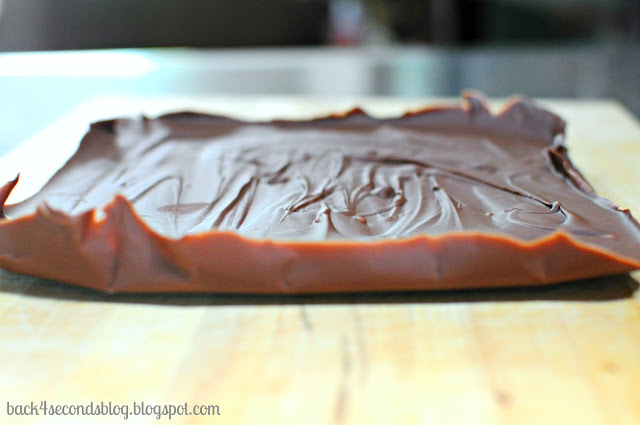 Line a 8x8 pan with wax paper and pour the chocolate into the pan. Smooth with an offset spatula and refrigerate until hard. Lift the chocolate from the pan and peel off paper. Chop into chunks and freeze until ready to use. Easy peasy. So smart! Thanks for sharing at the Pomp Party! Pinning! Ooooh. I want to add these to brownies. Or cookies. Or yogurt. Or, uh, my mouth? I get like that ALL the time where I wonder "why didn't I think of that? Duh!" and this is one of those times. So easy! Great tip! I've never made my own chocolate chunks, I always just use the chocolate chips. lol one question though. Why does the recipe say 12 chocolate chips? Is that really all you used? Thanks for sharing at Creative Thursday this week. Have a wonderful weekend. What a great tip! I NEVER have chocolate chunks on hand, but I do keep chocolate chips by the (multiple) bags-full!! Love love love food blogs and cannot wait to peruse yours even more. Stopping by from Nifty Thrifty! Oh my this looks wonderful, and on top you gave such a great tip. 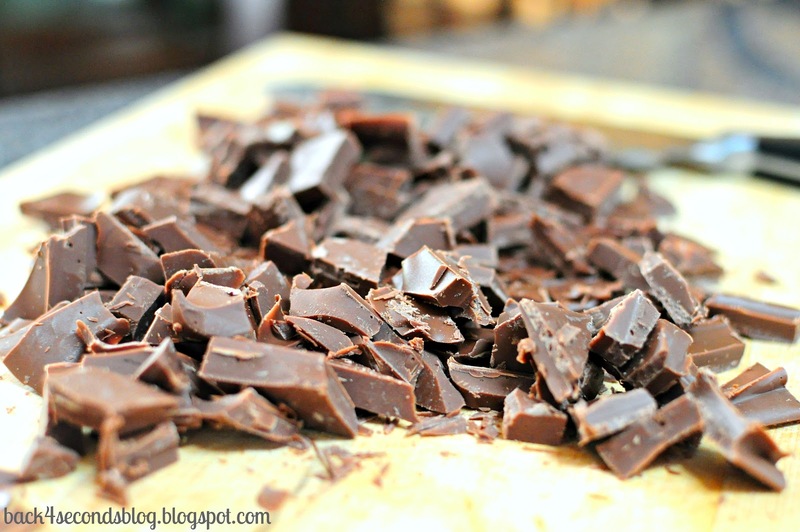 So glad I seen this so I could head over and learn how to make my own chocolate chunks! Thanks!I'd be tickled if you'd shared this over at Sunday's Best tonight! Sharing is a good thing! 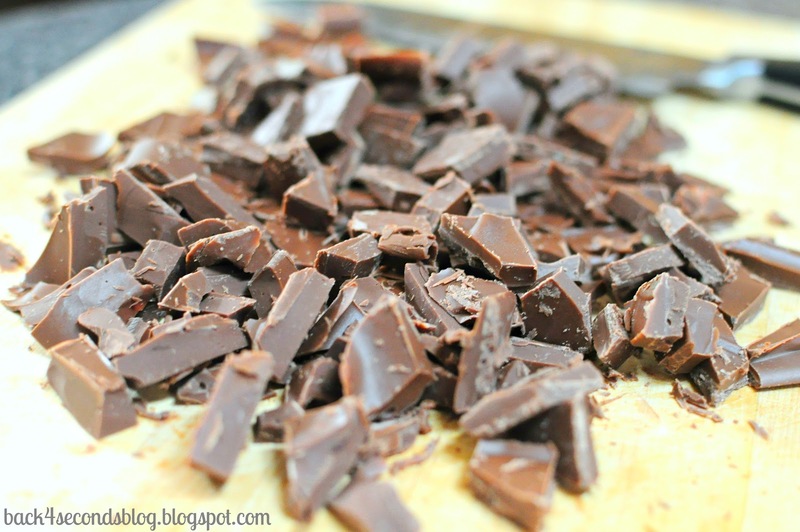 I had no idea how easy it was to make chocolate chunks. Thanks so much for posting on the COM link party! I one of the people saying "Why didn't I think of that?" 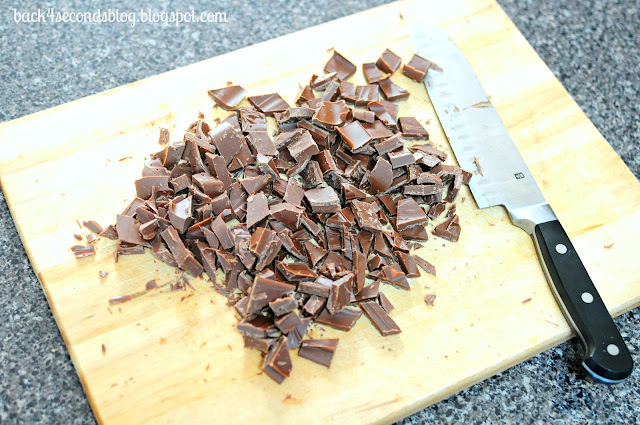 I almost always have chocolat chips on hand but not chocolate bars to chop. GENIOUS! thanks for sharing on Whatcha Whipped Up! I'm wishing I had some of your chocolate chunks in front of me! I wish I had thought of that - but you did. I was tickled you shared your creative inspiration with Sunday’s Best – you helped make the party a success! Totally thinking "why didn't I think of that". Story of my like, lol. Great idea for the simple minded, like me! I don't know about you, but chocolate chunks don't last in my freezer very long... Coming to you from the bloom designs blog hop! great idea! and super easy! Great tip. Thanks for sharing this on Saturday Show and Tell. I hope you’ll be back again this week with some more great ideas! Ah, there's just nothin' better than chocolate. Great tip! Thanks for sharing with my readers. The simple ideas are always the best! Thanks so much for sharing on Busy Monday!